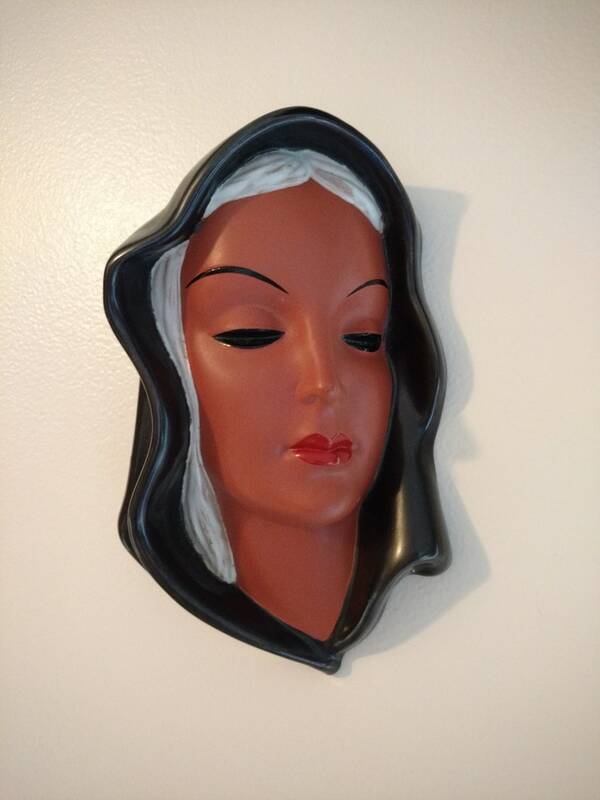 Beautiful terracotta wall mask in pristine condition. No chips, cracks, breaks or repairs. Looks new. Gorgeous perfect face with white hair and a black hood. Measures 8" × 5" ×3". Maker stamp on back and model numbered 7831.